Changing seasons always inspire me to do some reorganizing and redecorating … just a new set of pillows can really freshen up a room. 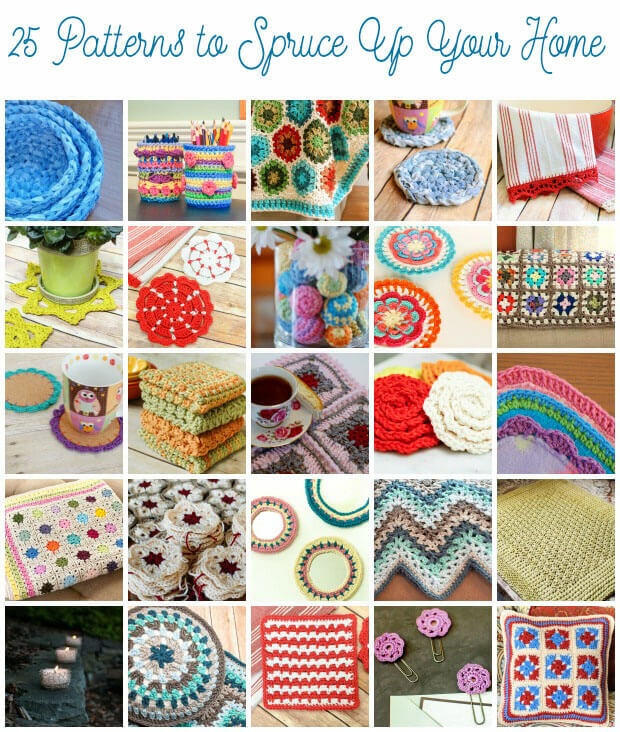 Today I have pulled together 25 Crochet Patterns to Spruce Up Your Home. Happy crafting! Thanks for your generosity. Lovely patterns. Thank you for a lovely collection. Sharing it on my fanpage. Have a wonderful day.